Cheyenne’s talent was recognized at the tender age of 9 years old, at which time she started singing in public. Her grandmother, Dionne Warwick, called her to the stage to sing during a performance of her massive worldwide hit “That’s What Friends Are For” in Coney Island, New York. Even as a child she wowed the audience. 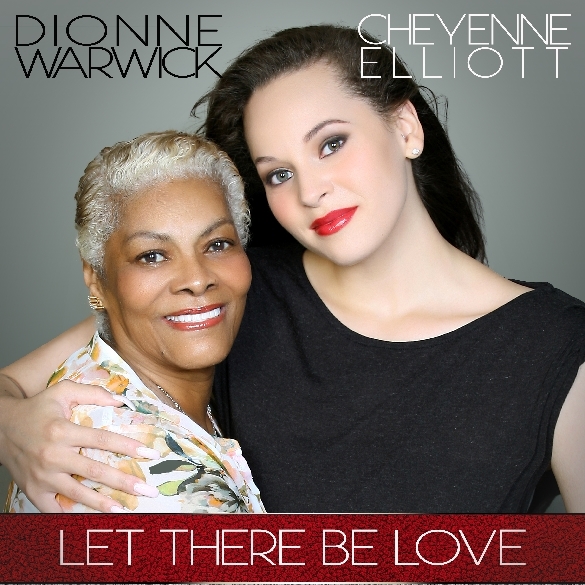 Cheyenne learned her craft and drew innately from being born into a family of music royalty, including her grandmother, her father David Elliott – who co-wrote Luther Vandross’ massive hit “Here and Now,” and her late superstar cousin Whitney Houston. Dionne would play an instrumental role in Cheyenne’s development as a performer. This entry was posted on Thursday, November 20th, 2014 at 20:04	and posted in Cheyenne Elliott, Dionne Warwick, Narada Michael Walden, Press Release. You can follow any responses to this entry through the RSS 2.0 feed. « Drum Heroes Carmine & Vinny Appice Go Head-To-Head On The New Release Drum Wars Live!